Welcome to the PTO Website! 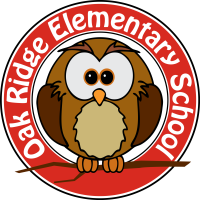 The purpose of the Oak Ridge Elementary School PTO is to aid the students and staff by providing support, educational and recreational needs and promote open communication between administration, teachers and parents. Thank you so much for your interest in volunteering for our school! We have many opportunities to help with all types of events and tasks. We have Spirit Gear! Get your school shirt or car decal and show your love for the Owls! We are here for you! Please reach out if you have any questions or concerns.